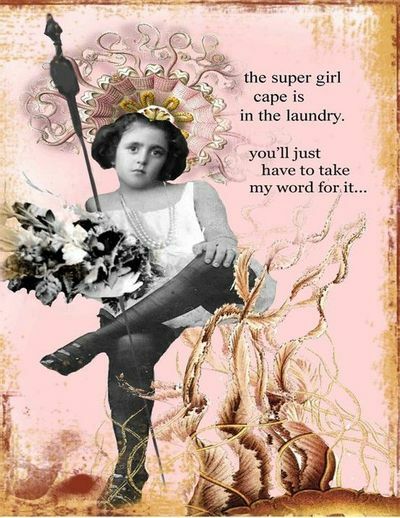 For Christmas, I received a mug with this image and saying on it: “The super girl cape is in the laundry. You’ll just have to take my word for it.” The colleague who gave it to me said she saw it and immediately thought of me. Me? A super hero? A caped crusader? A protector of the people? Ok, I’ll take that! I recently finished watching the Netflix Original Series of Marvel Comics’ “Jessica Jones” and am currently IN LOVE with David Mack’s cover comic artwork. Not only am I appreciating the artwork and geeking out a little bit over the comic in general, I am also interested in the significance of the characters’ apparent “weakness” or“disability” resulting in their greatest strength. In all, there will be four Netflix Marvel Comic series culminating in a big picture movie. Yay! So, being reflective as the New Year approaches, what is my weakness that is also my strength? I can’t tell you or I’d have to use my super powers on you…not really, but it IS just for me to know and I DO know what it is. I challenge you to find yours and exploit it for the strength that it is. Do good. Love others. Protect people. Fight injustice. Ok, back to art. Inspired by another of Marvel Comic’s female character’s, Echo (who happens to be deaf), and by David Mack, I’ve created this lovely lady. She is still a work in progress. 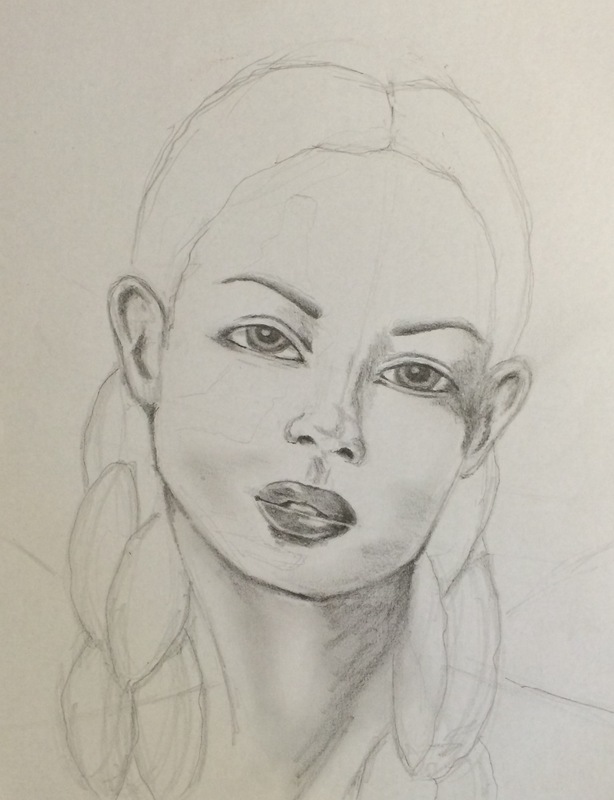 I am hoping to finish her for the New Year and have her be my inspiration throughout. This may be the year of super heroes for me! I also plan to offer more online tutorials this year, so keep a look out! Another inspiring lady in my life is my amazing sister Kara Bullock. 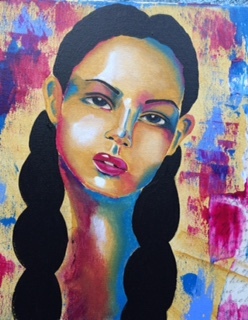 I have had the pleasure of watching her artistry skills explode this past year and am fortunate to be a guest teacher in her upcoming year-long course on painting faces called“Let’s Face it”. The course starts January 4th, 2016. That’s NEXT MONDAY!!! It’s not to late to enroll. To learn more about “Let’s Face It” click HERE. To enroll now, click HERE!! Here’s to finding inspiration in the New Year, to maintaining a community of creativity, to exploiting our weaknesses as strengths andfinding your super hero within! Previous postLet’s Face It is Almost Here!!! She is beautiful already…can’t wait to see her finished! Thanks Nancy! I can’t wait to finish her!